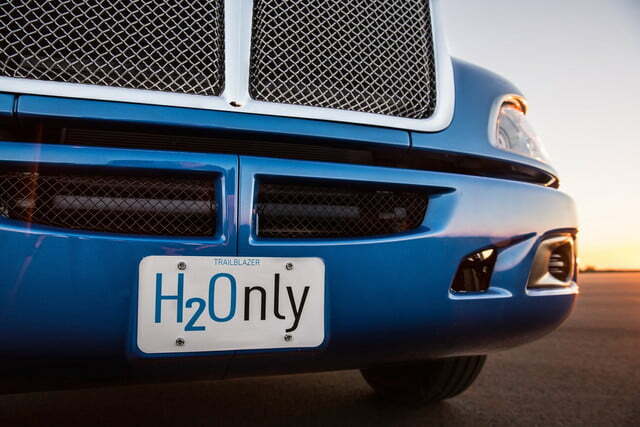 Toyota isn’t satisfied with making hydrogen fuel-cell cars. 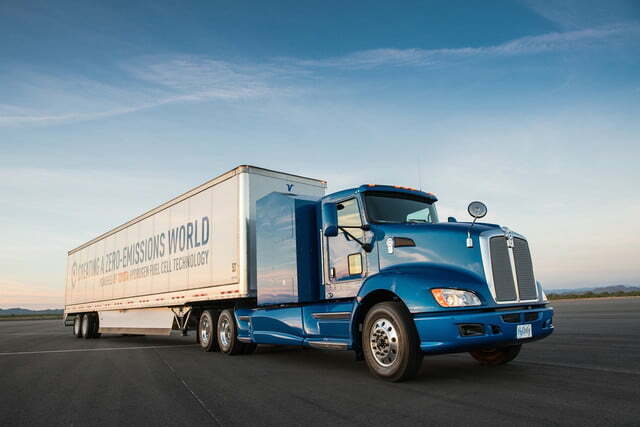 Last year, it announced plans to test fuel cells in commercial trucks, and now those hydrogen big rigs are about to get rolling. 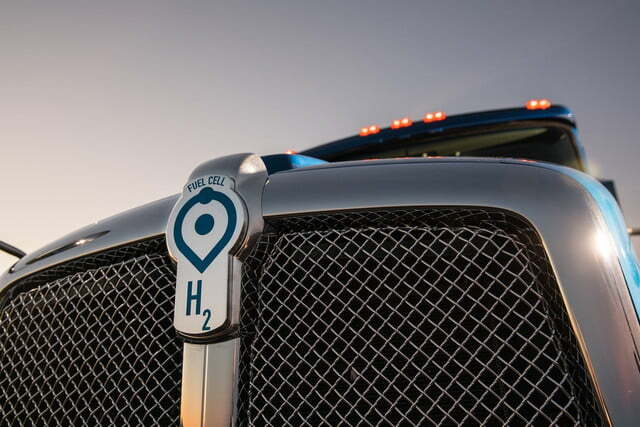 The Japanese automaker is launching “Project Portal,” a test program for hydrogen fuel-cell trucks at the Port of Los Angeles. 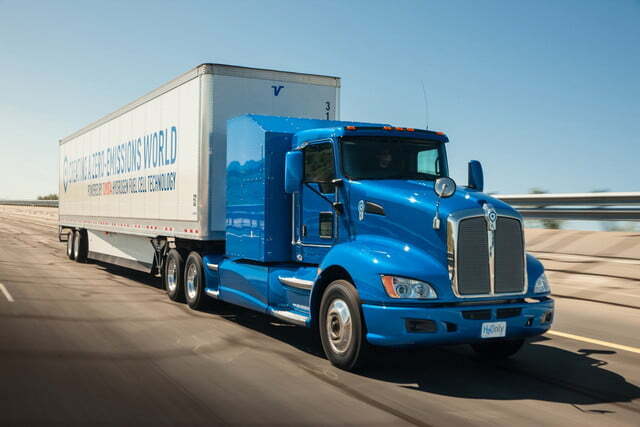 A prototype truck will begin testing there this summer, while Toyota, the Port, the California Energy Commission, and the California Air Resources Board evaluate both its environmental impact and possibilities for production. 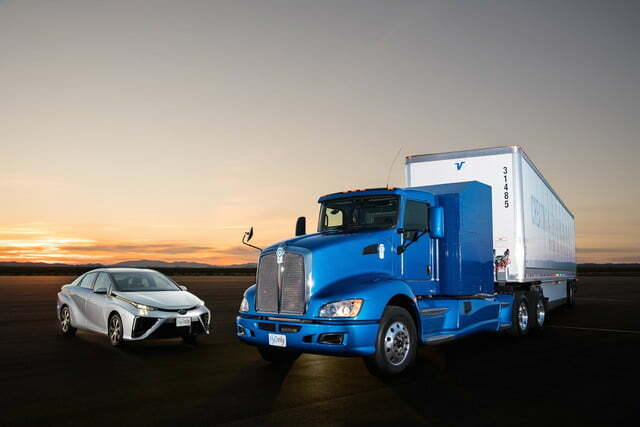 The truck itself is powered by two fuel-cell stacks from Toyota Mirai sedans, plus a 12-kilowatt-hour battery pack. It boats 670 horsepower and 1,325 pound-feet of torque, allowing for a gross combined weight capacity of 80,000 pounds. Range is 200 miles per fill up, which Toyota says is under the normal amount of mileage trucks operating at the Port of Los Angeles cover between refuelings. California is the only state where Toyota sells the Mirai, because it is the only one with sufficient hydrogen fueling infrastructure. While Toyota recently announced a partnership with Shell to expand the number of stations, lack of places to refuel remains a major drawback for hydrogen cars. But commercial vehicles, like the Project Portal truck, that operate within a confined area may not have that issue, because they don’t stray too far from a single fueling station in normal operations. 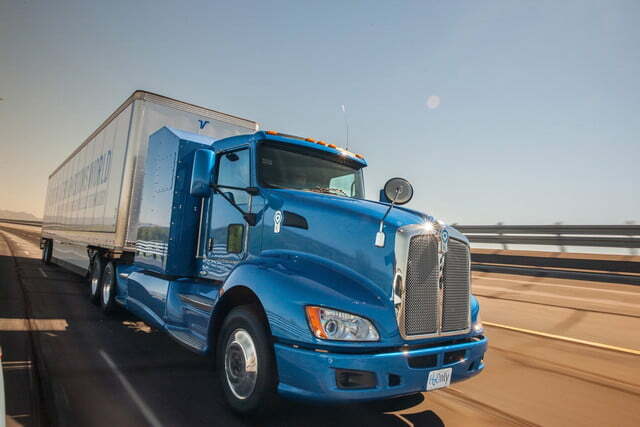 That doesn’t cover long-distance trucking, but many others are trying. 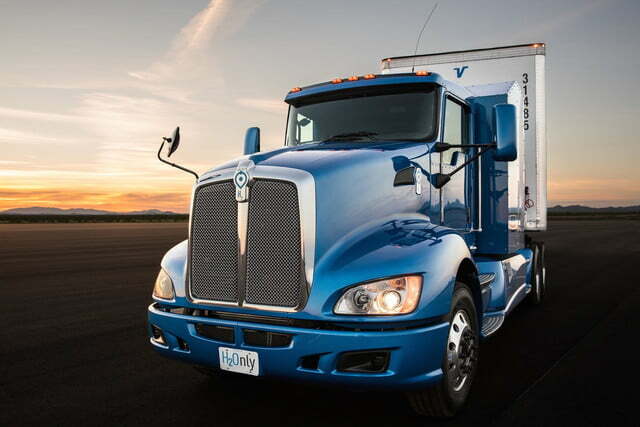 Nikola Motors unveiled a hydrogen fuel-cell semi truck called the Nikola One late last year, with promises to build an accompanying network of hydrogen stations. 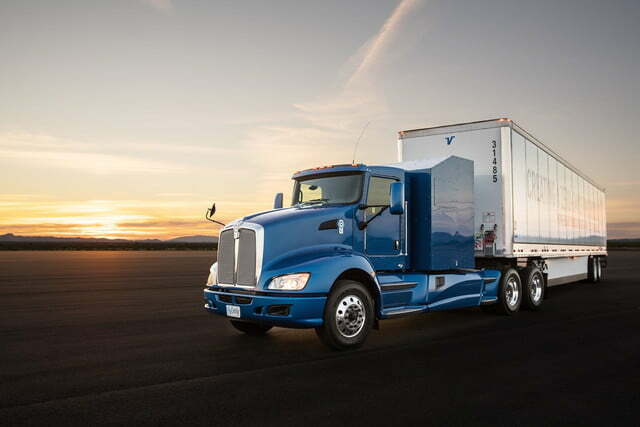 Tesla will unveil a battery-electric truck in September. Some Swedes have even experimented with stringing wires over highways to power electric trucks. 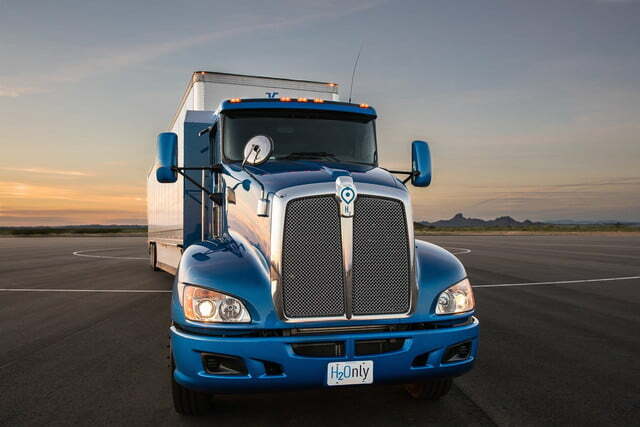 Commercial vehicles rack up much more mileage than the average passenger car every year, and big trucks like the ones Project Portal is intended to replace have terrible fuel economy. 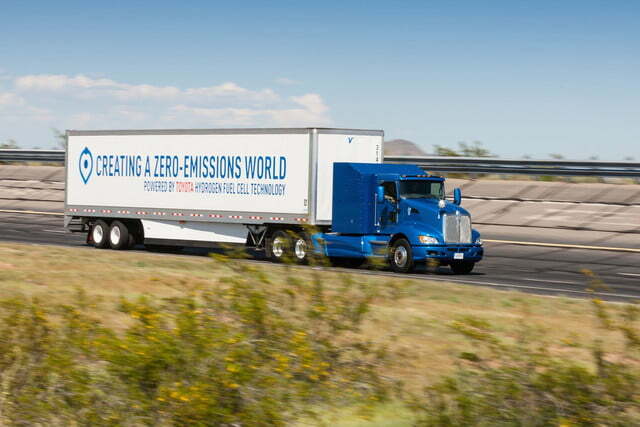 So converting these vehicles to zero-emission powertrains could have an outsize impact on air pollution and greenhouse-gas emissions.